This is a guest post from Ben Huber, one half of the brilliant team behind Dollar Sprout. 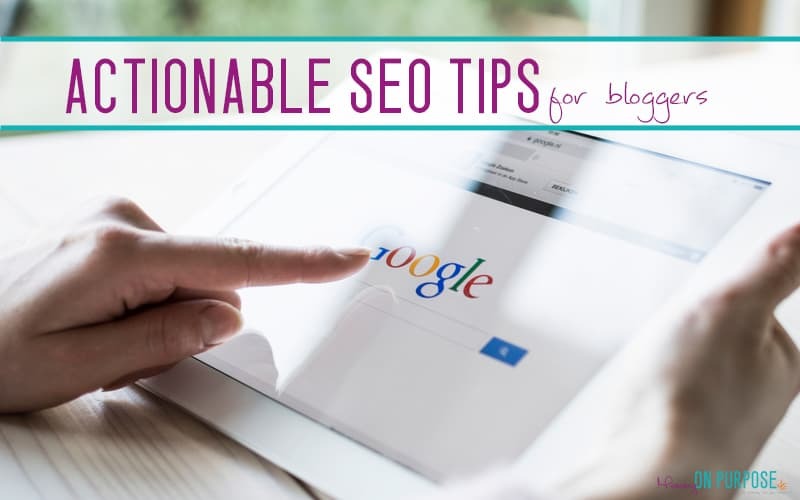 He employed SEO for his blog to get 1,500,000 visitors in 8 Months, and here he shares 5 very actionable SEO tips for bloggers to get you on the right track! Search engine optimization (SEO) can be a dry topic. It can be mind-numbingly boring at times, and worse, you can work at it for months with little to no results to show for it. Sound about right? Been there, done that. To add insult to injury, there are hundreds of concepts to learn, and thousands of sources all telling you something different. 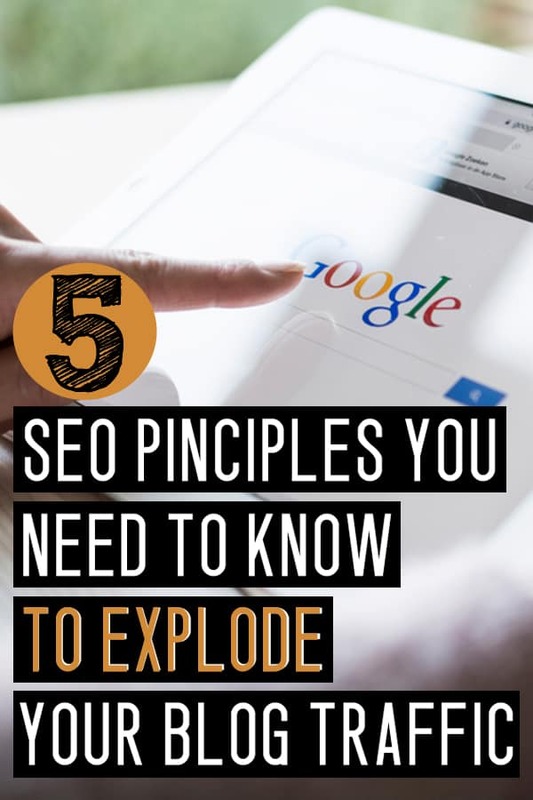 But if you’ve been blogging for a while now, you’re probably keenly aware that SEO is something you should be focusing on nonetheless. Even if you hate it, you’re at least aware that it’s important. You may even think you’re focusing on it by installing an SEO plugin like Yoast, and following its instructions, until every one of those beautiful little lights is green…but you’re in for a rude awakening. That’s only small piece of the SEO pie, and certainly not enough to rank consistently. It’s a long and winding road, but it’s one almost all of us will end up on. Why? Because scaling and diversifying your traffic is important. It doesn’t matter if you’ve been using Pinterest successfully for years, or you’ve got a massive Instagram following driving solid traffic, no traffic source is immune to implosion. Furthermore, if you ever hope to escape the rat race of consistently posting to social media, day in and day out, it’s likely you’re going to need to master some source of passive traffic (and income). Setting up an ad campaign, optimizing for search, etc. There are ways to put in work now so the traffic will come later. Even if you’re not wholly focused on SEO as a means for scaling your business, the benefits of “optimizing” for it will help other aspects of your marketing game. It doesn’t matter if you haven’t started already, or you’re a seasoned pro, there’s probably a thing or two among these 5 helpful resources that’ll have you taking actionable steps towards improving your SEO game. Nowhere in Yoast is site speed mentioned. And very few bloggers fully comprehend its importance to SEO. I’m going to take it one step further. I’m saying that if you want to consistently rank within the top 4 positions on search engine results pages (SERPs), where the real traffic comes from, you’re going to need a blazing fast site. This isn’t necessarily because you’re being penalized for having a slow site, it’s because you’re not providing a user experience similar to (or better) than the sites ranking ahead of you. It’s not impossible to rank with a slow site, but if you want consistent traffic, you’re going to have to take the steps necessary to ensure your site is even capable of reaching those coveted top 4 spots. A fast site will, by default, improve your dwell times/session duration, pages per visit, scroll depths, and more – all factors Google takes into consideration when determine the quality of your content. Why spend all that time creating epic content that someone immediately bounces from. I bring this point up first because it’s not just going to improve your SEO – it’s going to improve your entire website. It doesn’t matter if you’re a Twitter fiend, a Pinterest aficionado, or a Google guru – your ability to market and sell products depends on your user experience. If your bounce rates are high, look here. If your bounce rates are low, I guarantee you can get them lower. Now, odds are, some of you won’t know what all of that means, and that’s okay. It’s not necessarily important to master each concept, but having a general understanding of what each one is, and how it impacts your site speed, really is important. If you struggling to make your first few dollars with your blog, or even take it to the next level, you’re shooting your conversions in the foot by not addressing these issues. Yoast is a great plugin. If you don’t have it already, I highly recommend getting it. It will guide you through 90+% of the on-page portion of SEO. That being said, on-page SEO accounts for less than 25% of the SEO pie (according to Moz), and yet this is where so many people stop. Ugh. Bad bloggers. We’re better than this. Anyhow, back to pie. It’s important to understand how each piece fits together. Think of on-page SEO as you telling search engines exactly what your content is about. 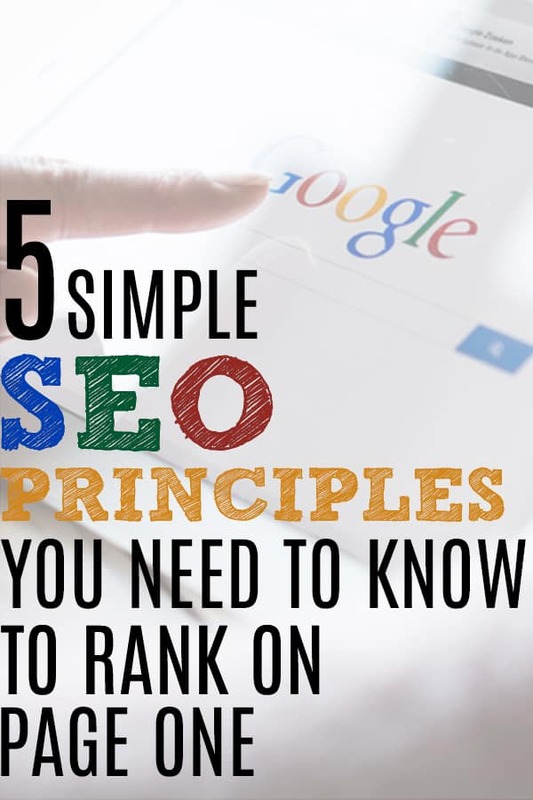 Off-page SEO tells them whether or not it’s worth ranking. Good on-page SEO is (near) worthless without good off-page SEO and vice versa. You cannot have one without the other. Remember all those green lights in Yoast? That’s their way of telling you whether or not your on-page SEO is up to par. Attention to detail matters. Don’t bend over backwards getting every single light green, but on average it will serve you well to hit as many as you can. And my blog is a pretty good example of this. Jeff and I started DollarSprout in October 2017; a mere 13 months ago. While our domain authority (DA) currently sits at 34 (which still isn’t amazing), we are able to outrank very established competitors for outrageously competitive keywords. For example, at the time of writing, we currently rank #1 for the keyword “make money.” Think about that for a minute. A tiny, DA 34 site, is outranking every single site (in the world) for one of the most competitive keywords imaginable. Forbes (DA 94), Entrepreneur (DA 91), The Street (DA 89), CNBC (DA 92), Amazon (DA 97), all of them. Why? Great on-page SEO, great off-page SEO, site relevance, and high-quality, long-form content. Every single piece of the puzzle matters. Attention to detail matters. The end result? 1,500,000 pageviews in the last 8 months. 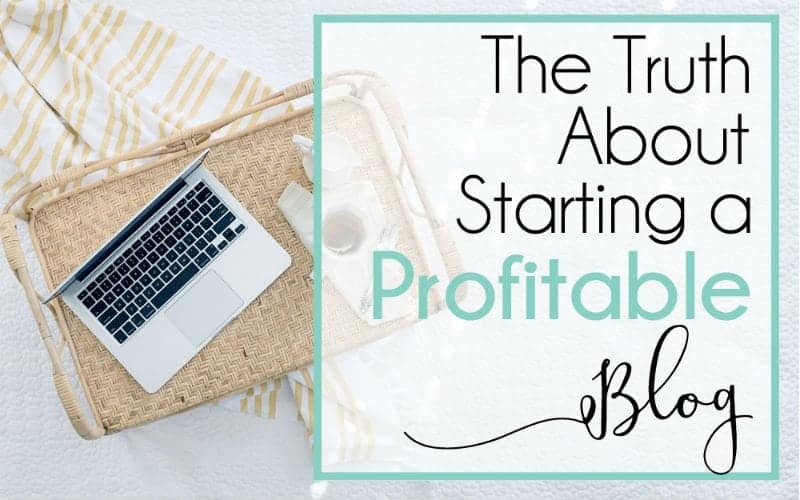 And while monetization is an entirely different ball game, we’re able to generate a full-time income from blogging because of the traffic we receive. Benefit on platforms that take branding/site authority into account (think Pinterest, etc.). And the best part? 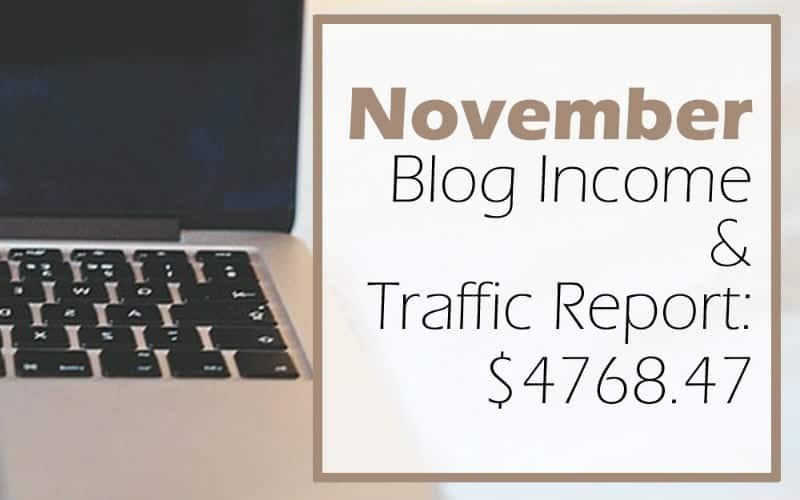 Results in twelve months may seem like a long time, but over the life of your blogging business, it’s a drop in the bucket. It’s absolutely reasonable to start putting into practice some of these steps today and start seeing results over the next few months (especially if you’re an established blogger with a meaningful backlink profile). Here are some great resources to help you learn about off-page SEO and linkbuilding. The good part is that it’s almost over! Okay, just kidding, there’s actually over 200 ranking variables, but don’t mind that number. We’re hitting the basic principles that will encapsulate most of them. And with that, we move on to keywords. On-page SEO, without good off-page SEO, without good keyword research, is worthless. You must have all of them. You beginning to see the theme here? You have to put together all the pieces of the puzzle to reap the rewards, but the rewards are absolutely worth the work. For keyword research, check out these articles. Having a better understanding of which keywords you can reasonably rank for is massively important for not burning out in your SEO journey. Time and again I see people try to optimize a post for keywords they don’t have a chance to rank for, and then they get frustrated about why they’re not see results from SEO. The solution? Use free searches available to you on tools like Ahrefs, Moz, and SEMrush and identify long-tail keywords (that align acutely with your niche), and optimize for those. Results will come much faster and it’ll give you the motivation to keep chasing higher volume keywords when the time is right. Better yet, those lower volume keywords will start to bring in passive traffic (and income) indefinitely, so long as you put in what little work is required to maintain it. If you don’t know what those are, that’s okay (latent semantic analysis keywords). They’re the juiciest part of SEO and you’re going to want to understand them intimately. Why? Impressions. Tens of thousands of them. For example, the “make money” post I referenced earlier is centered around the primary keyword “make money fast.” It’s a keyword that gets 41,500 searches/month. Not bad. But by sprinkling in LSI keywords (what effectively amounts to derivatives of my primary keyword), I’m able to stretch out the number of response pages my article will trigger. You see, by including LSI keywords in the article, we’re able to stretch out our impressions to almost 30 times the normal volume of the keyword. And the best part? We rank highly for nearly all of those too. That’s an additional 1,000 keyword variations that the article ranks for in the top spot (or close to it). Now, Google is smart, and you probably are aware that your natural writing will incorporate LSI keywords almost on accident, but definitely be intentional here, too. Sprinkling in a few exact match, high-volume LSI keywords can do wonders for increasing the number of impressions your articles get on SERPs. SEO is a massive, ever-changing subject. There are constant algorithm changes that could take the wind out of your sails, even if you’re doing everything right. And yet you should consider pursuing it anyways. In a day and age where social media algorithms are less forgiving than they’ve ever been, your traffic has to come from somewhere. When you see massive companies with millions of followers folding because they put their eggs in one basic, you begin to realize the importance of diversifying your traffic sources. Organic social media traffic is a tough cookie to crack – it’s free, but it’s tough to sustain. Invest some time and resources into something more passive so that your website can grow, even when you’re not around. 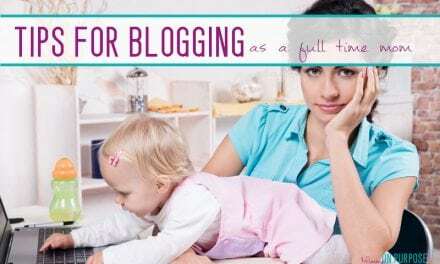 Is blogging still profitable in 2019? Thanks so much for these helpful SEO tips! I’m trying to focus more on my search engine optimization now that I actually know what it is. When I first started my blog I had no idea what SEO was or it’s importance. Now I’m trying to play catch up a bit but that’s ok! we learn how we go right? You are so right – we learn as we go! I am glad you enjoyed the post. All these points are very important and we sometime ignore these. Thanks for this useful article. This is a great post. I finally understand LSI! I am glad – it’s SUCH an important piece of SEO! I am glad you enjoyed the post. Thanks so much for all this info! Very helpful as I’m a newbie to blogging. Very informative post, I recently discovered Yoast, and what a life saver. Thanks for the tips. Very helpful tips! I actually just spent hours getting my site’s speed faster but now it’s time to really focus on keyword research and getting my SEO knowledge up. I am glad you found them helpful! Good luck with the blog girl!!! Really good content, I appreciate it! No problem – glad you enjoyed the article! 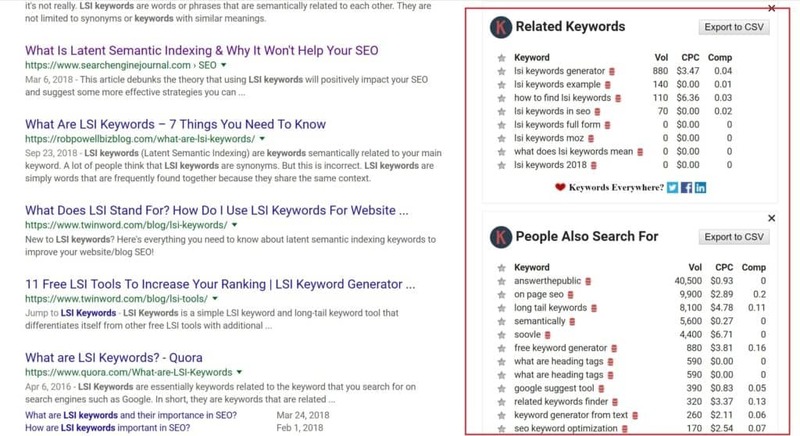 And here I was thinking I know so much about SEO, ughhh… After reading this post, I think I will need a keyword research tool as a start (and thanks for the related content – Keyword Research for SEO). Do you have any personal favorites? Patiently waiting for your response and thanks for sharing this informative content. Hi there! 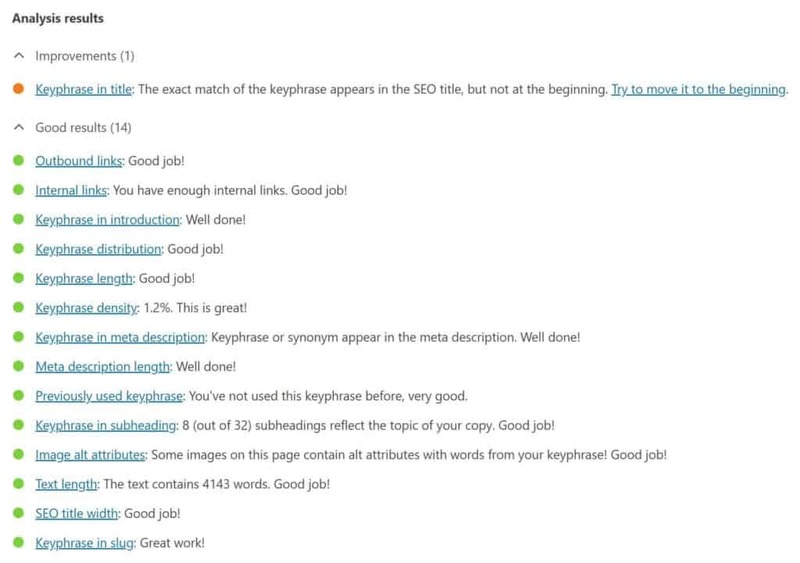 Personally, I really like Keywords Everywhere, which is a Chrome extension and FREE!